Would you like to achieve an excellent online accredited UK qualification, which will demonstrate a high level of skill and knowledge? 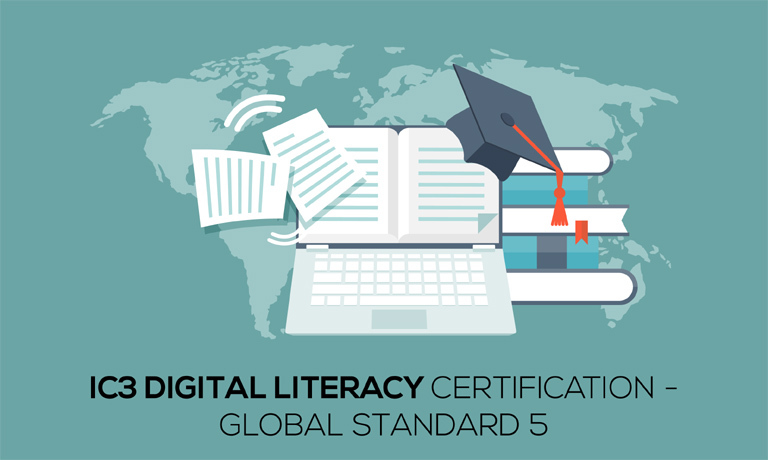 Look no further than this fantastic IC3 Digital Literacy Certification – Global Standard 5 course. The IC3-GS5 Practice Lab will provide you with the necessary platform to gain hands on skills in computing fundamentals. By completing the lab tasks you will improve your practical skills in computing fundamentals, such as computer software architecture, backup and restore, file sharing, cloud computing, security, using web browsers and exploring the internet. You will also become familiar with applications used for document creation; word processing, spreadsheets, and presentations. These same tasks will help you understand the objectives and competencies required by the IC3-GS5 certification exam. Certification Successful learners will be awarded an IC3 Digital Literacy Certification – Global Standard 5 certificate. Progression and career path Upon successfully completing this IC3 Digital Literacy Certification – Global Standard 5 course, you will demonstrate a foundational understanding of computing, will understand working in a networked environment, and will possess the skill to use popular word processing, spreadsheet, and presentation applications in the workplace. While this course does not train you to fulfil a specific role, it will greatly benefit your application to any job role. Modern jobs require computer skills, so this course will be a huge benefit for any job seeker.